Michael Crossett is a mixed media artist who considers himself a photographer at heart. 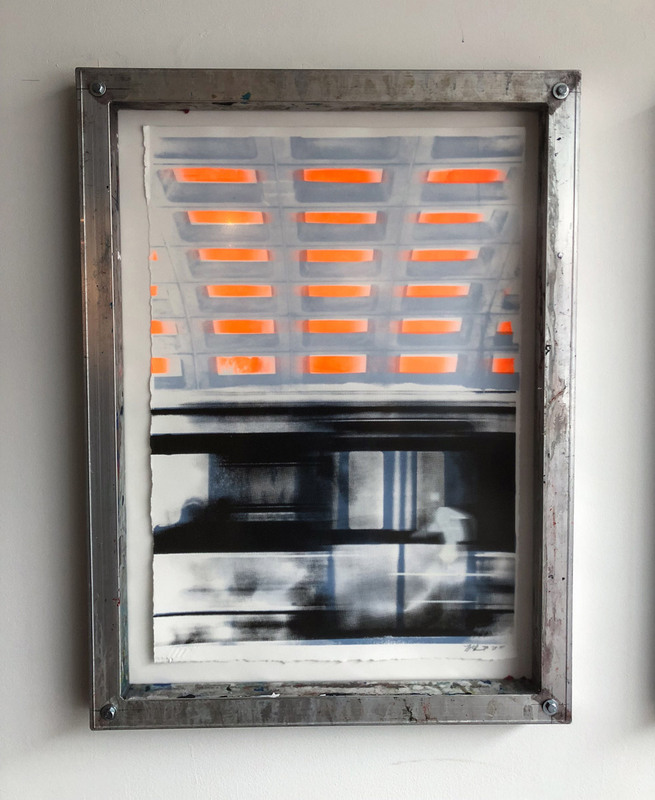 As a child, he was drawn to the mystery and excitement of waiting and watching for imagery to develop via traditional darkroom methods. 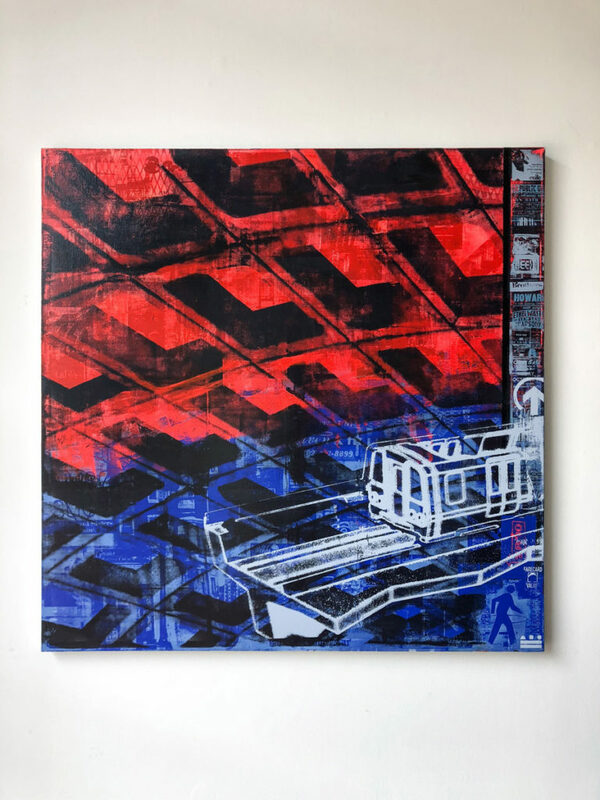 In an effort to recreate a similar feeling of wonder while creating art in a world dominated by digital photography, he turned to silk screens. 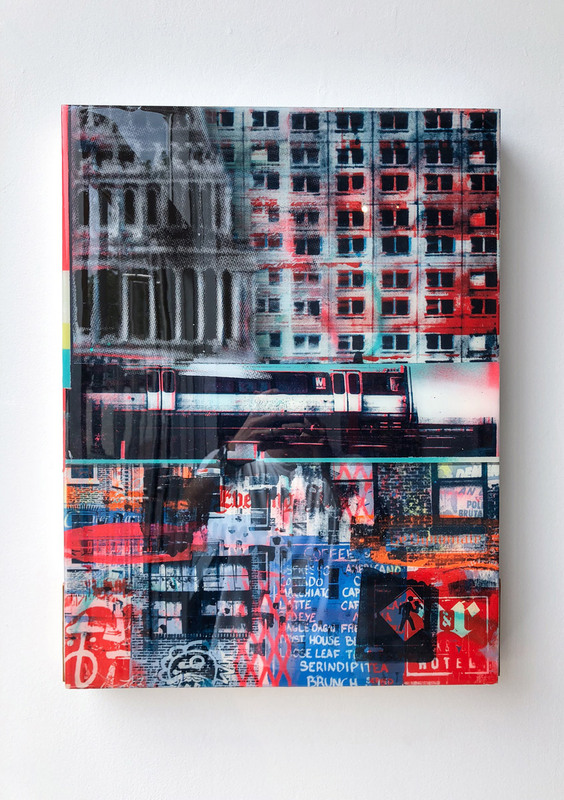 Crossett’s process always begins with photography. He captures the familiar sights of Washington, D.C. with a discerning and creative eye, both celebrating the city’s rich history and recording its fast-paced changes. 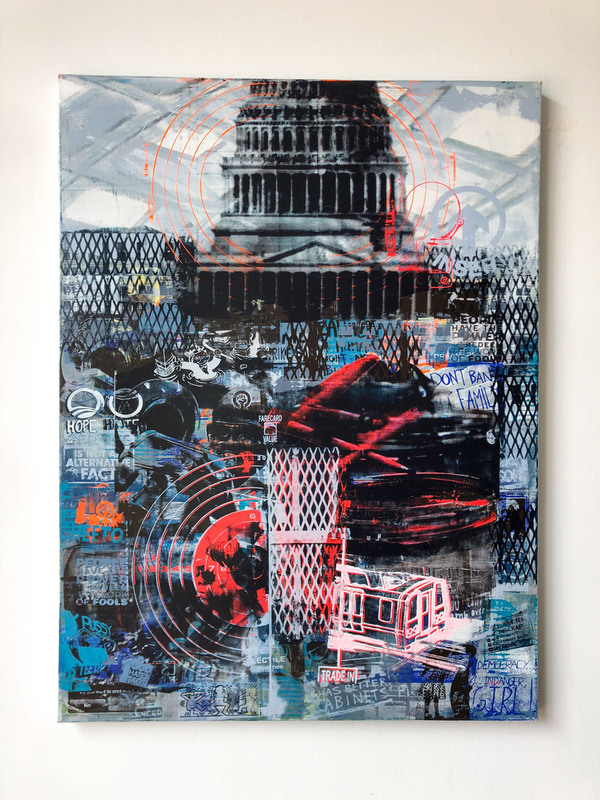 He also collects relevant historic imagery and other iconography to add to his final compositions. 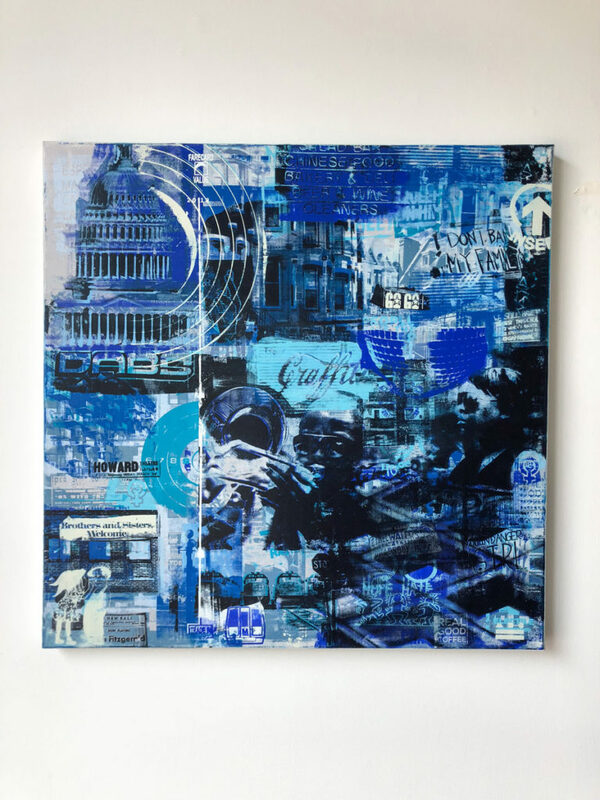 It is from here that Crossett transforms from photographer to mixed media artist. 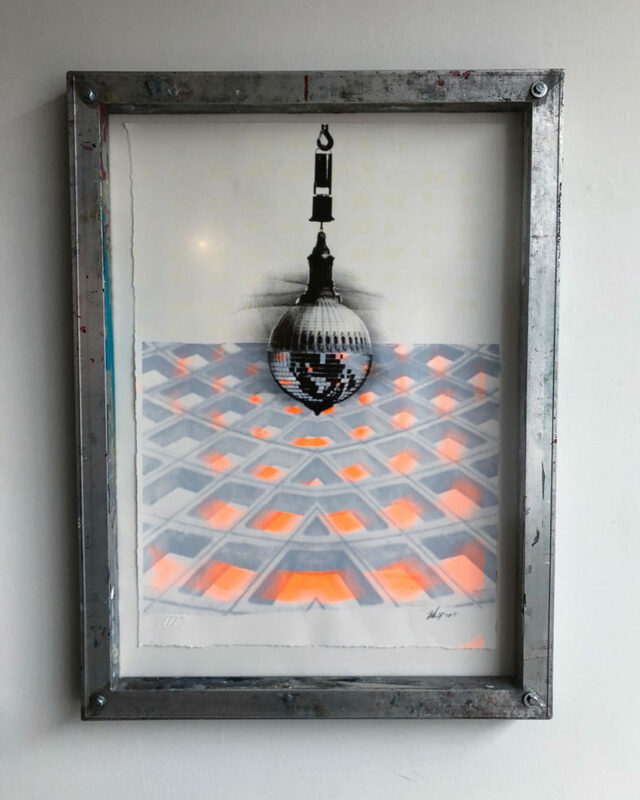 Rather than relying on digital platforms such as Photoshop to edit, crop, layer and otherwise transform his imagery, he creates silk screens. 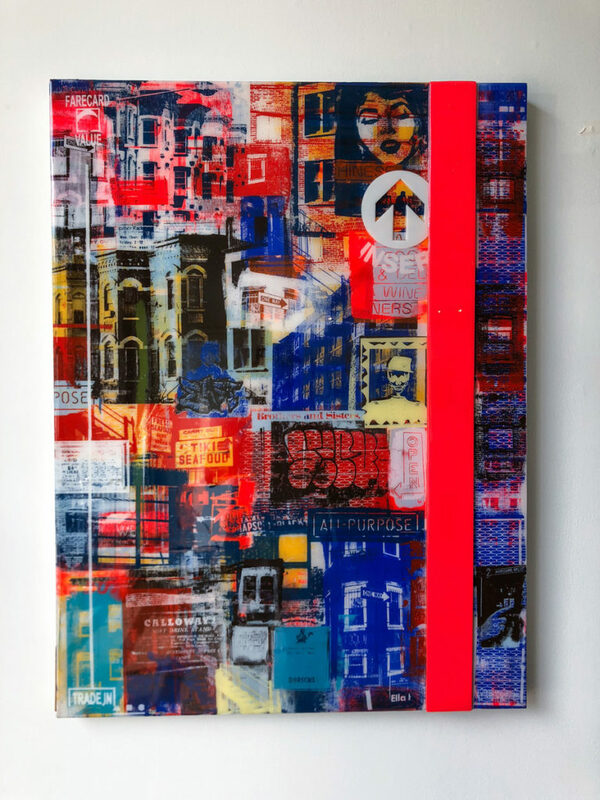 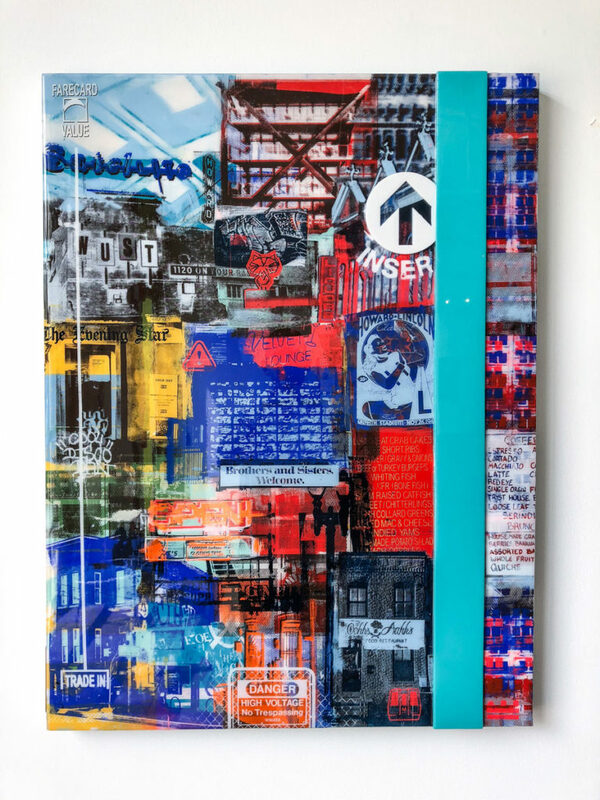 One at a time, Crossett hand-pulls color through these screens, layering hundreds of images into vibrant arrangements of recognizable D.C. icons. 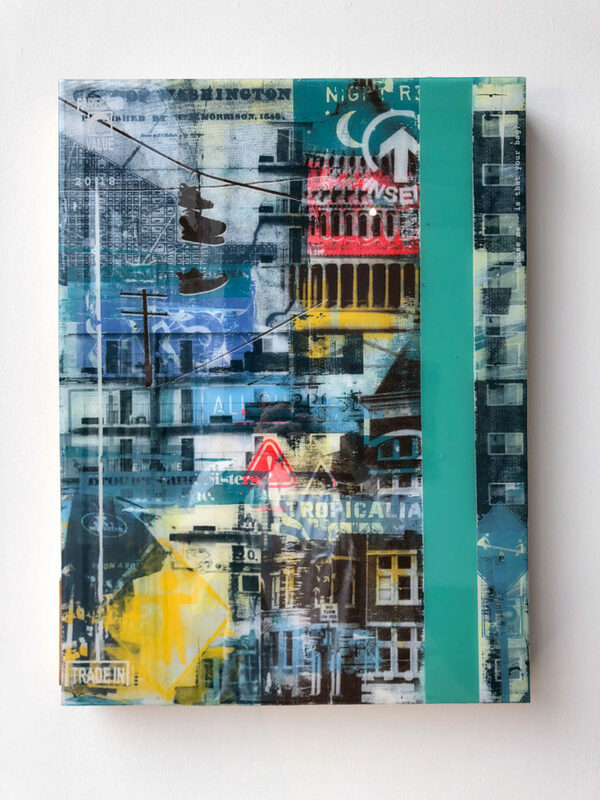 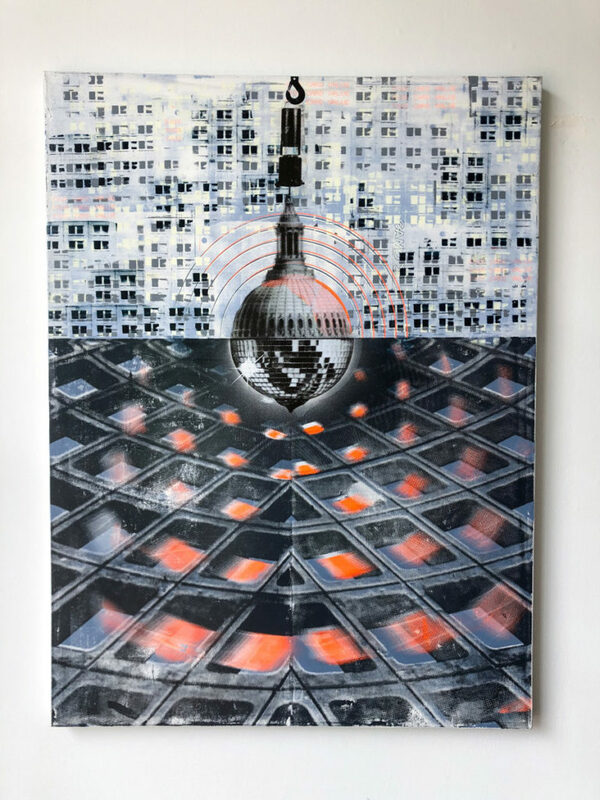 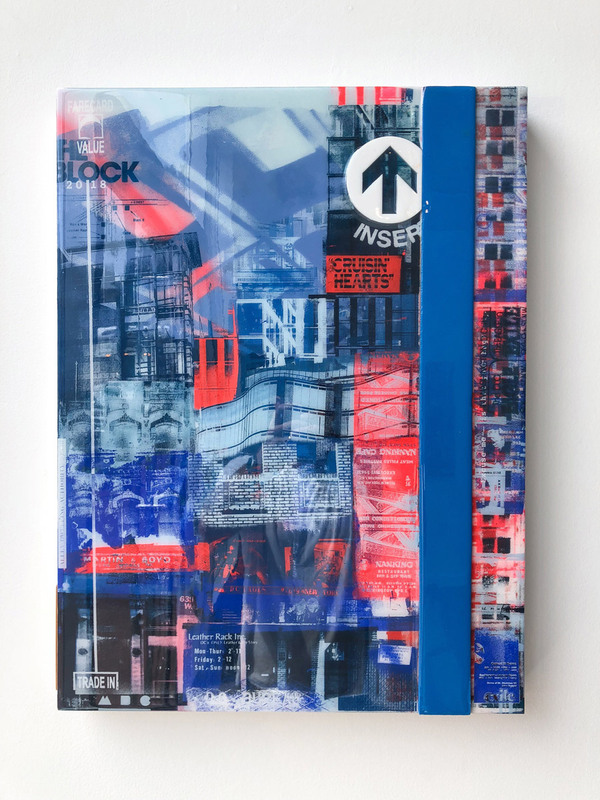 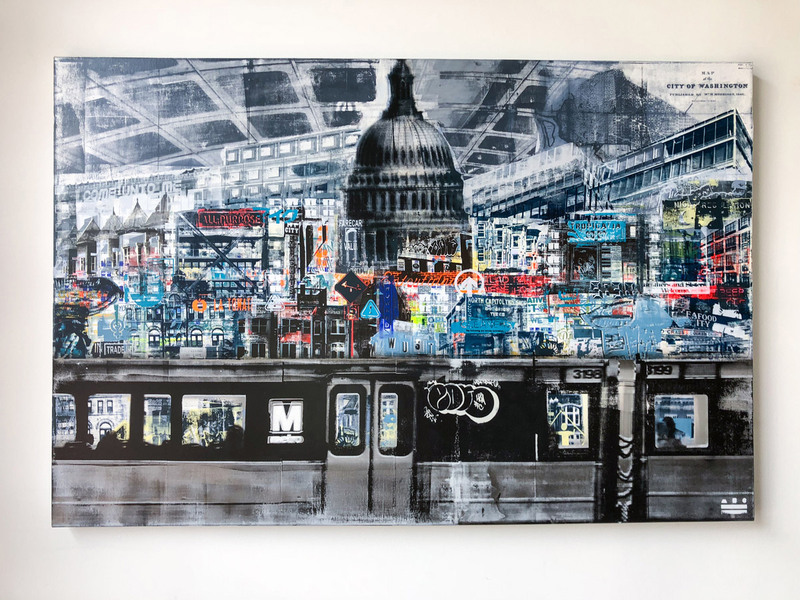 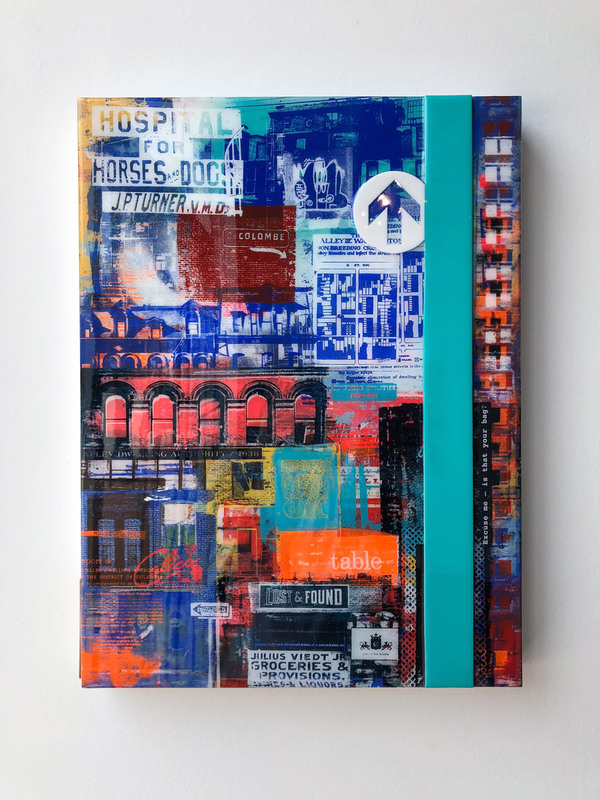 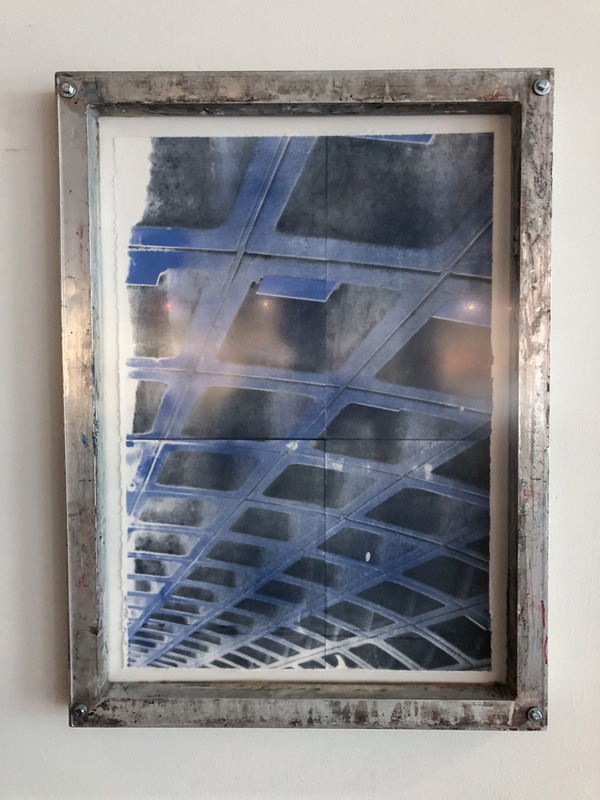 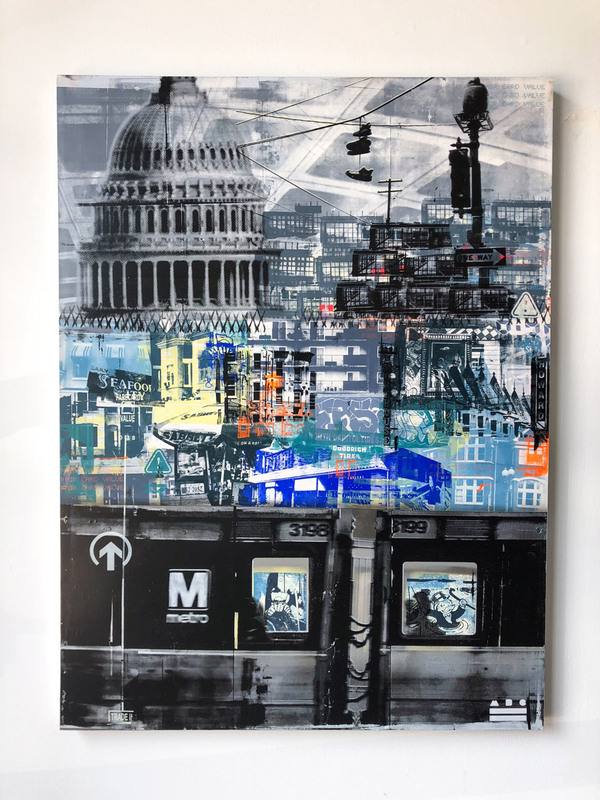 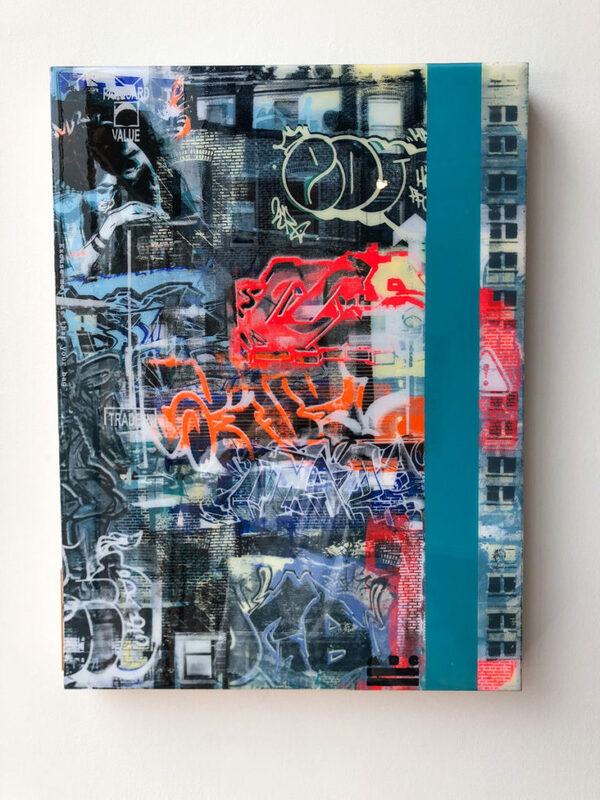 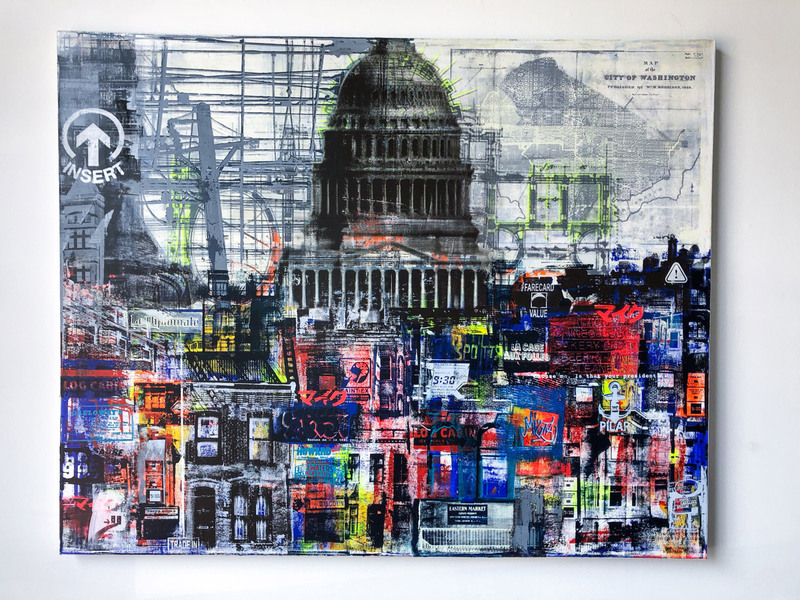 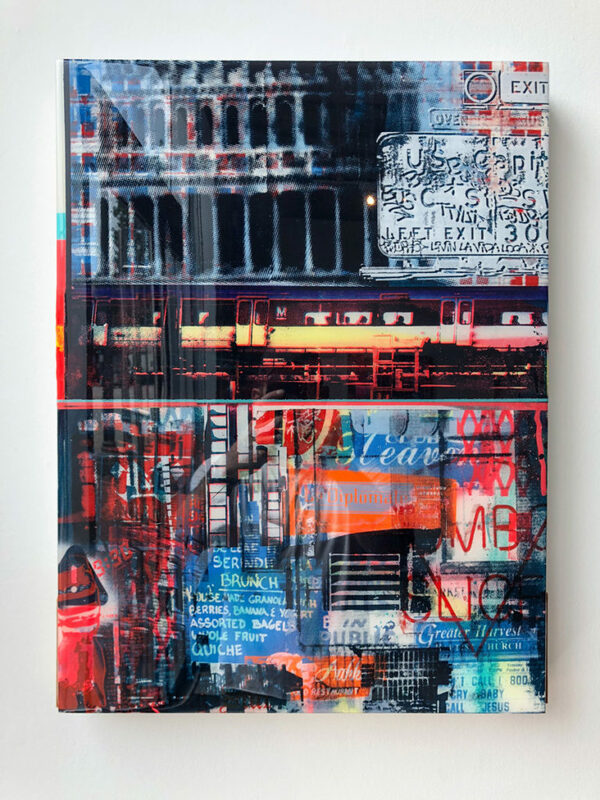 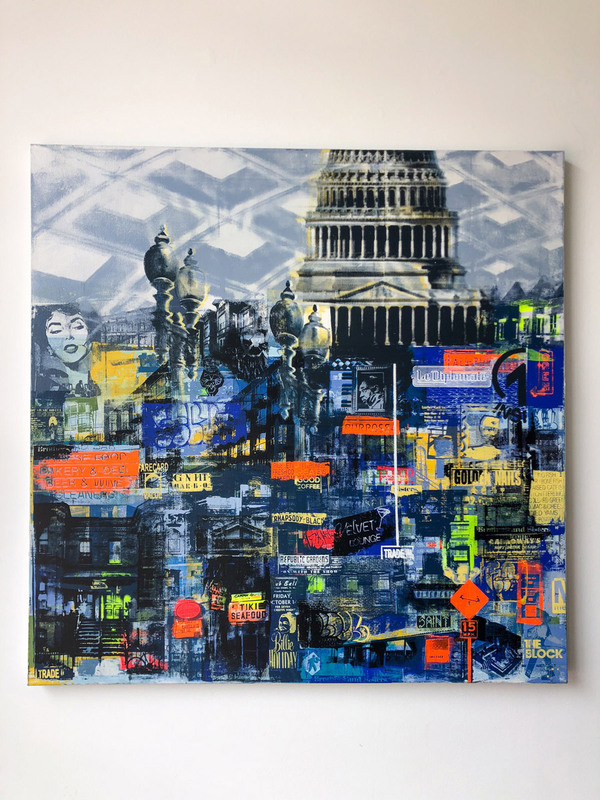 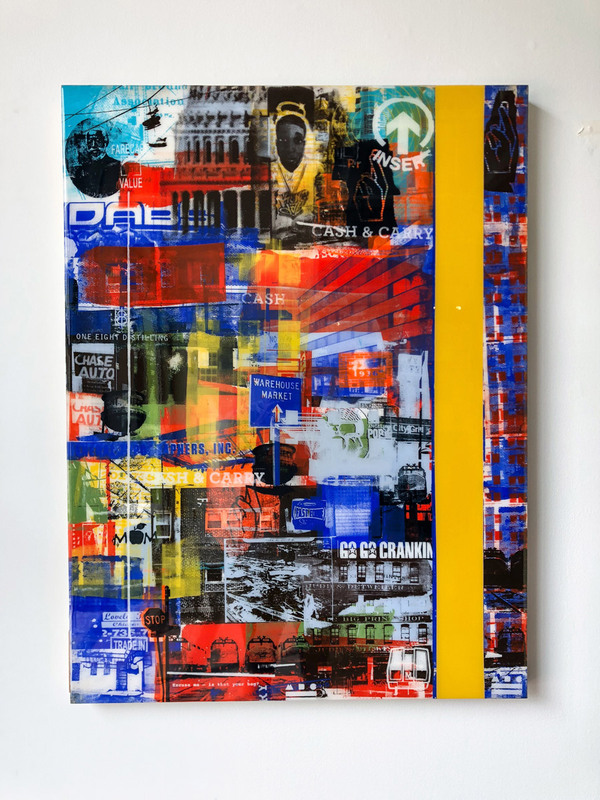 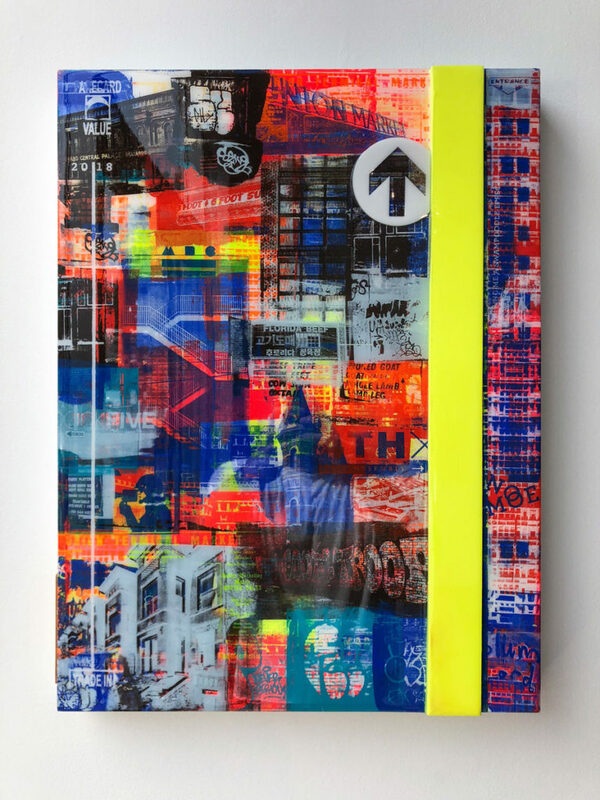 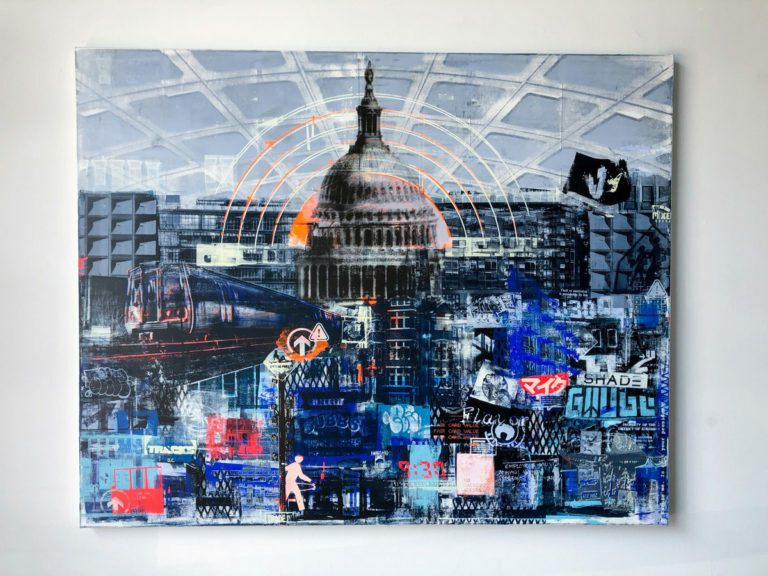 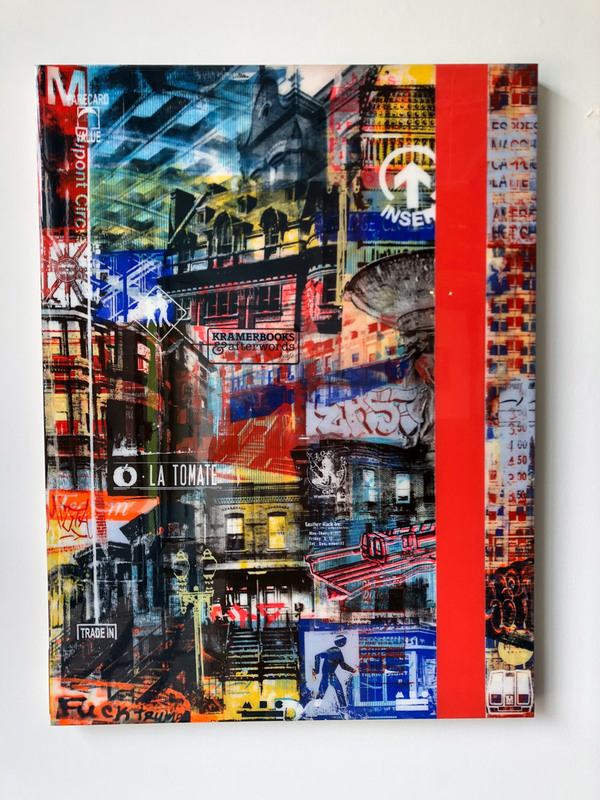 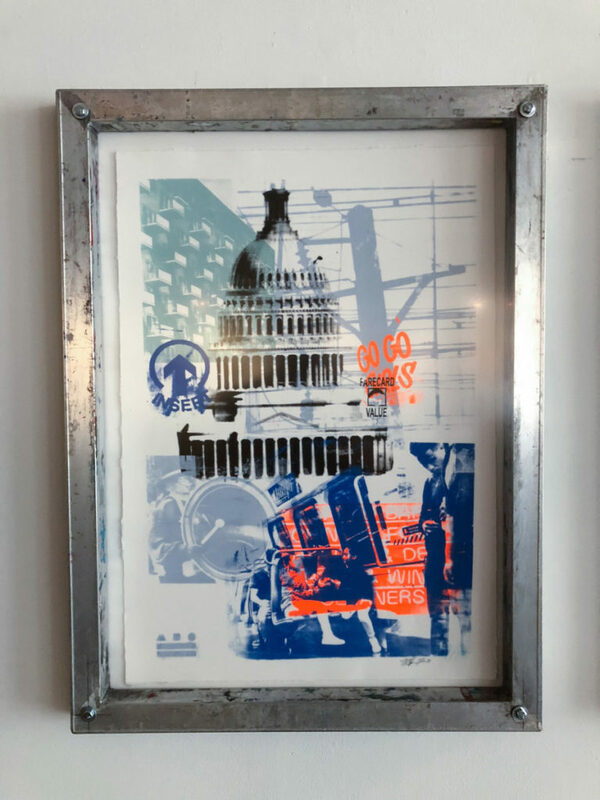 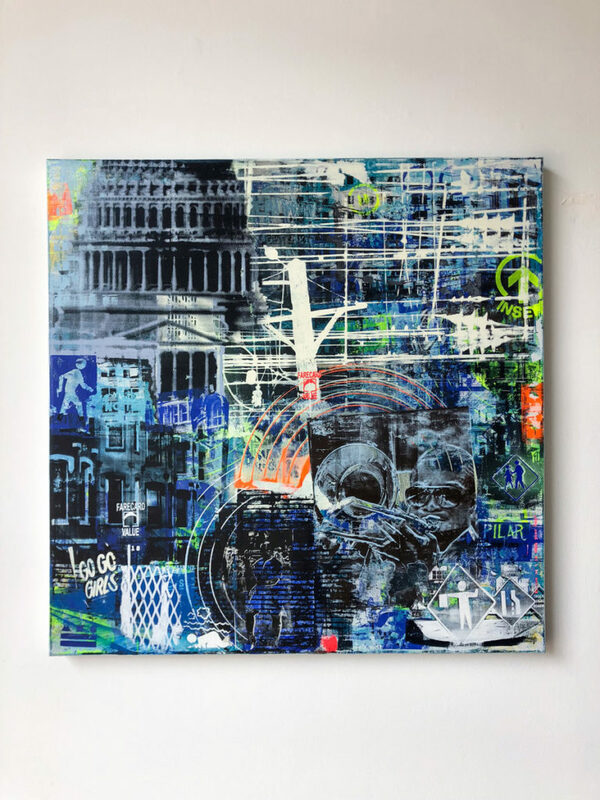 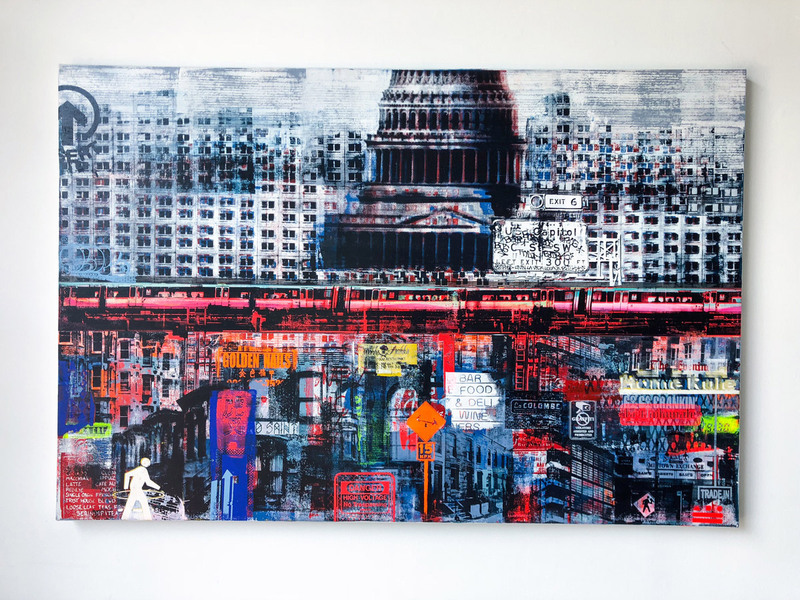 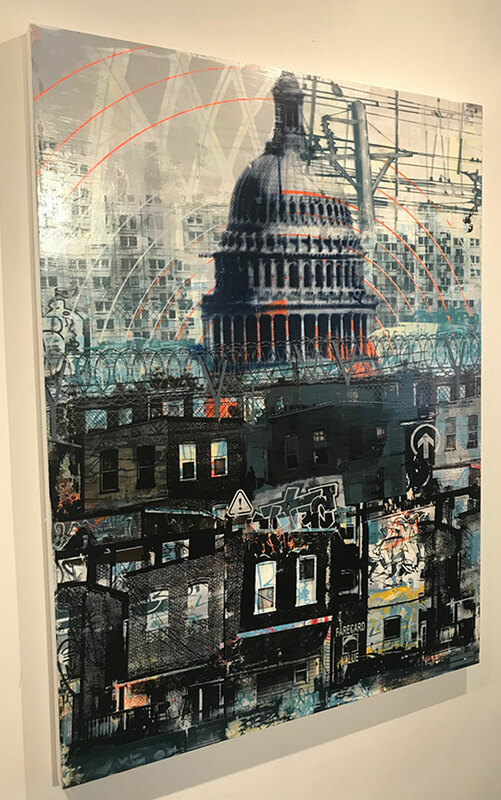 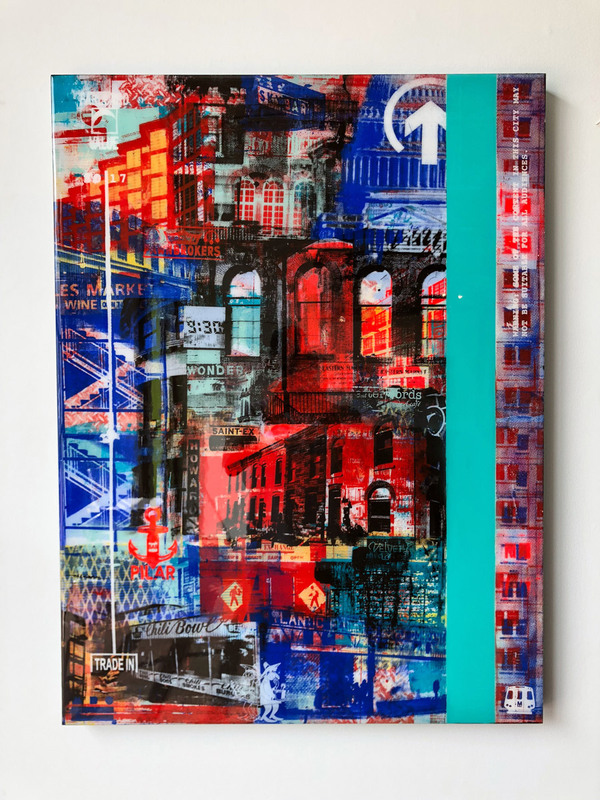 With an undeniable nod to graffiti, his pieces show us Washington, D.C. through his eyes, breathing new life in to landmarks often considered stale or stoic.